At GMF Dental Centre, we have a dedicated children’s dental program run by our children’s Dental Therapist. At GMF Dental Centre, we have a dedicated children’s dental program run by our children’s Dental Therapist. 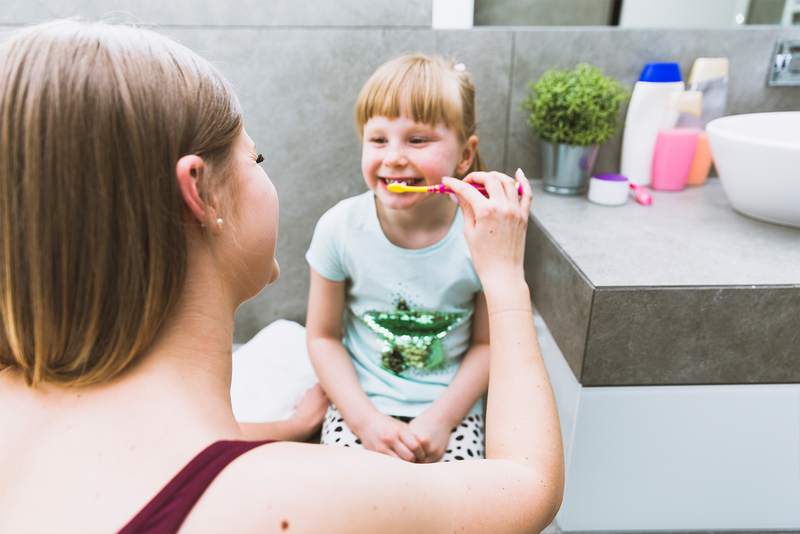 Trauma of baby teeth, children’s toothaches, orthodontic evaluation and any other children’s dentistry including regular check-ups and cleans can be seen to quickly and professionally. We offer Nitrous Oxide for those children who are sometimes apprehensive towards dental treatment. Removal of wisdom teeth is a common dental procedure when you have wisdom tooth pain, swelling, tooth decay or if there is simply not enough room for your wisdom teeth to come through. With so many different tooth-whitening options available to patients, it can be difficult to choose which is the best whitening option for you. Routine general check-ups are very important in maintaining healthy teeth. Dental implants are used to replace missing teeth and for many people, it is the preferred treatment option. The dentists at GMF Dental Centre have the experience to evaluate and prepare dental crown and bridges to the highest of quality. The dentists at GMF Dental Centre can help you achieve a smile with confidence! All dental emergencies can be seen urgently.